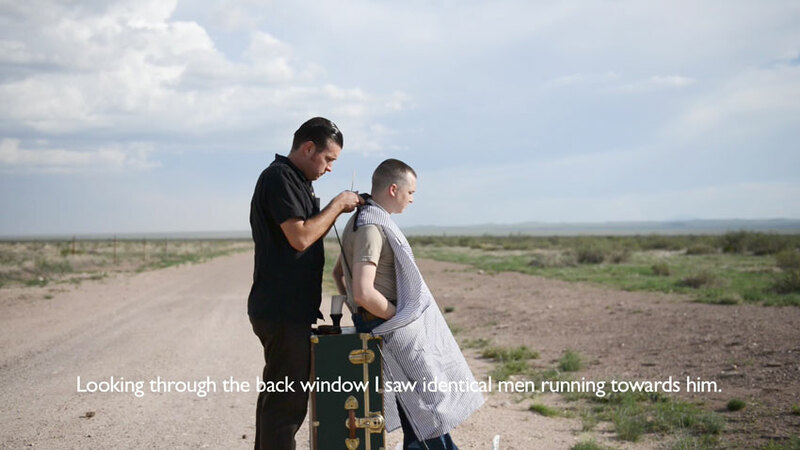 A real soldier has a buzz cut on ranch land. Subtitling from an unknown character discusses aliens observing planet Earth. A haunting depiction of the nature of territories on the border between the United States and Mexico.